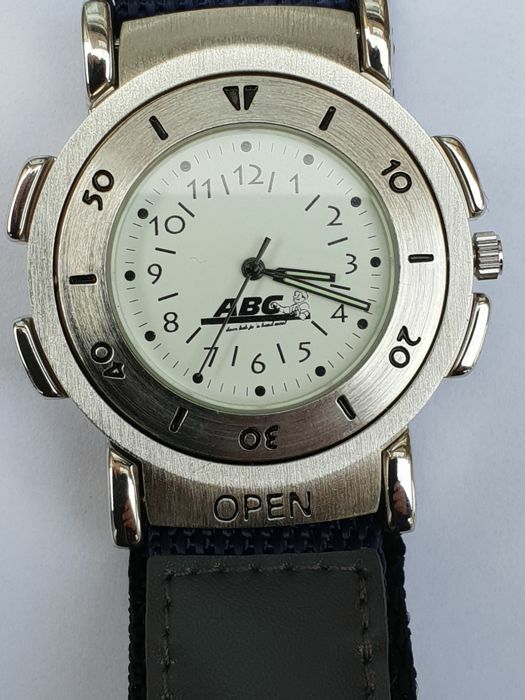 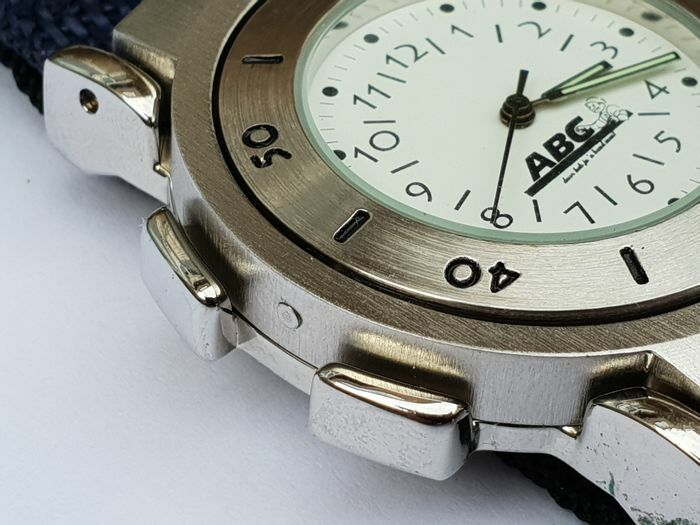 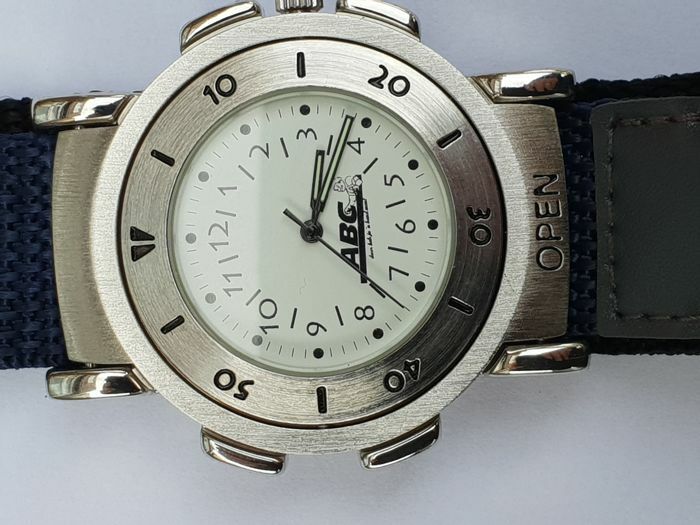 Special watch from ABC the car tyre specialist in the Netherlands. 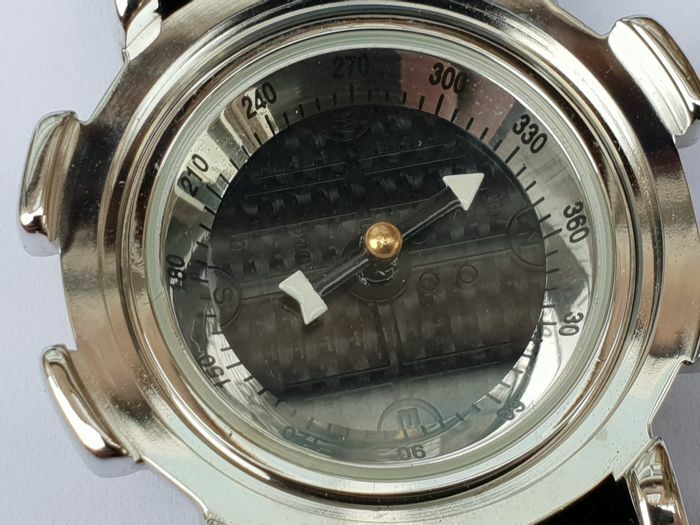 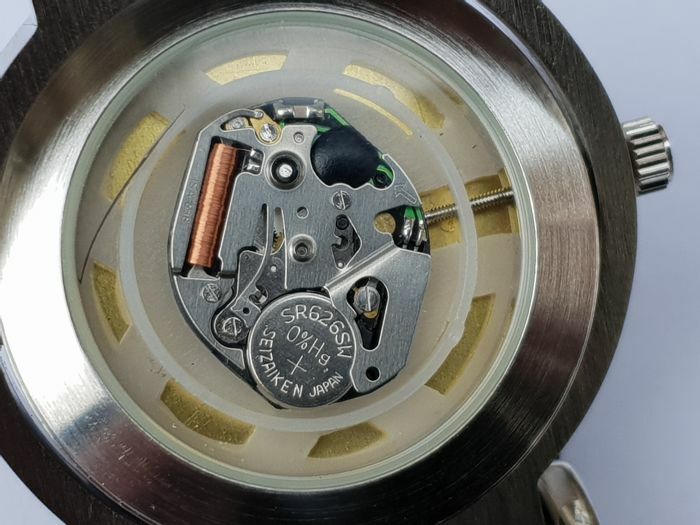 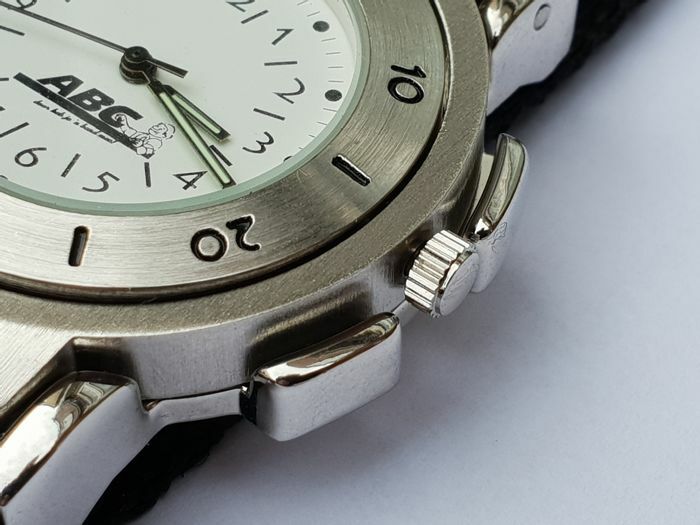 What makes this watch special is that it can be folded open, that the movement is visible at the back and that the other side shows a compass. 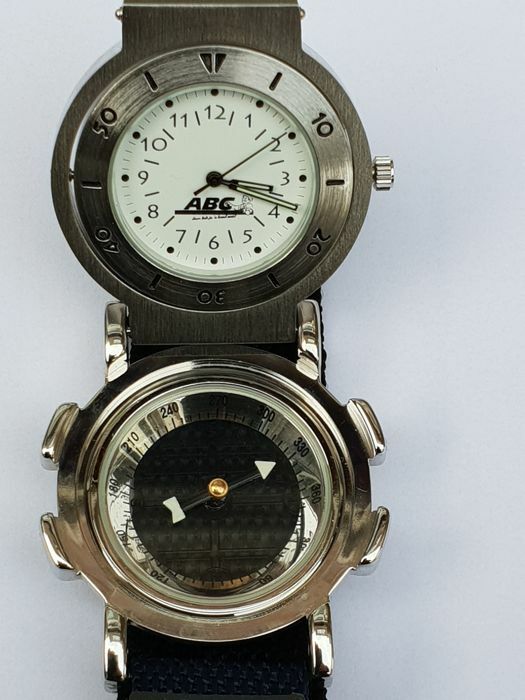 Very nice to wear but certainly also nice for the collector of automobile watches. 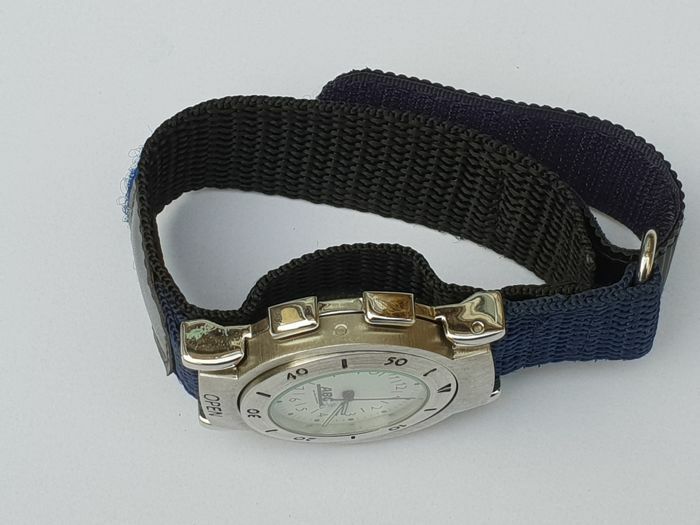 Also, the watch is no longer available. 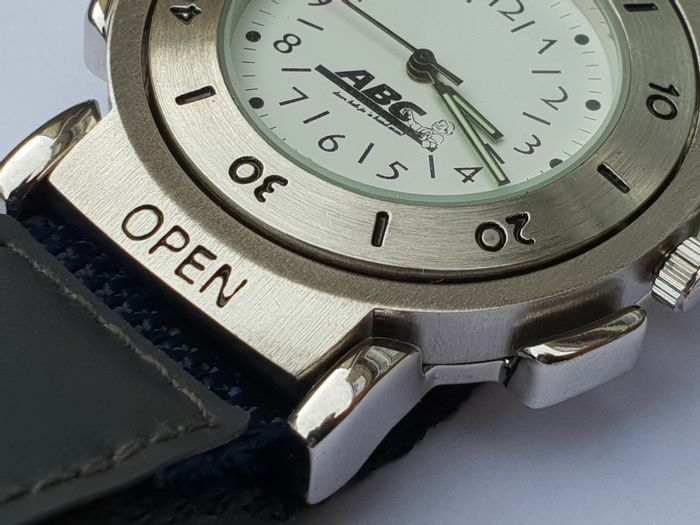 Very special and very versatile. 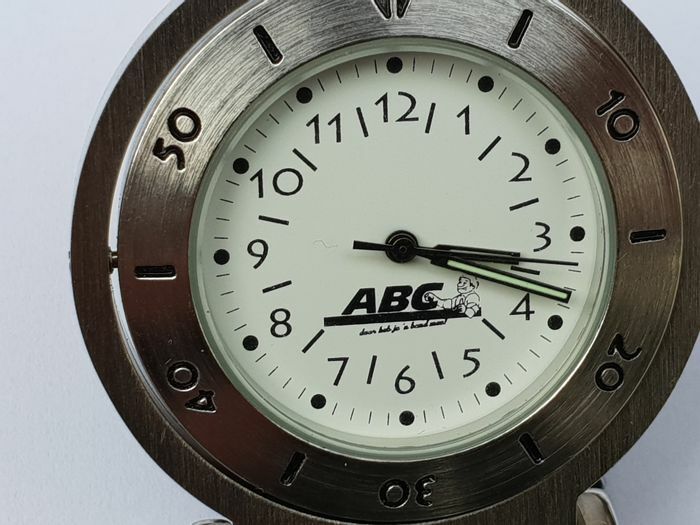 For more than 32 years, ABC Banden & Autoservice is an independent tyre and car service company with facilities in Bunschoten-Spakenburg, Deventer and Wageningen (the Netherlands). 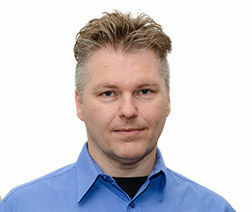 They offer a wide range of tyres and wheels to individual consumers as well as to businesses.